How does all this tie together? And what does it mean for Trump’s presidency and American democracy? Ted Malloch names the players, connects the dots, and explains who was behind the plot to create a red November. With a foreword by New York Times bestseller and Trump confidant Roger Stone, The Plot to Destroy Trump uncovers the biggest political scandal since Watergate. Theodore Roosevelt Malloch is chairman and CEO of Global Fiduciary Governance LLC, a leading strategy thought leadership company. Ted Malloch conceptualizes and executes some of today's most dynamic international projects. He was president of the World Economic Development Congress sponsored by CNN, where Lady Margaret Thatcher dubbed him a "global sherpa." "The attempt to destabilize and destroy President Trump is one of the most disgraceful episodes in modern political history. This is an important book that will help to dispel the myths." “This book is simply unputdownable!" "To the list of worldly ills—the unethical knaves in big business and the fools in big government—author Theodore Roosevelt Malloch has now added the cowards in ‘big conspiracy,’ who secretly traffic in worldly falsehoods so as to reap the whirlwind of political strife. Why do they do it? Because their thirst for power knows no bottom, and because they hope to gain the political upper hand in the ensuing confusion. No one loses more in the exchange than the ordinary citizen, who knows his world is at least partly run by these manipulative liars, but who cannot quite bring himself to reject the beautiful lies being spun. The Plot to Destroy Trump pulls open the veil behind which these manipulators operate. It is a view of jaded and world-weary malevolence, leavened with the essence of pure self-interest. In so many ways, the liars have the upper hand because they are selling “wishes come true,” and because the truth itself can be hard to hear—e.g., work hard, compete, don’t accept handouts—but the ordinary citizen knows something is deeply crooked about this world. It is a crookedness for which the only remedy is Truth. Let there be Truth, says author Malloch—a declaration that every citizen who wishes to live in reality can embrace as their own." 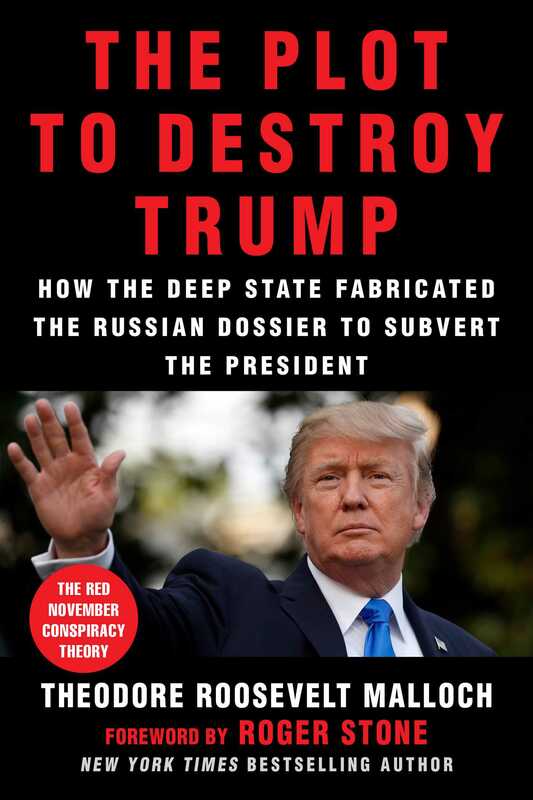 “In stunning detail, The Plot to Destroy Trump: How the Deep State Fabricated The Russia Dossier to Subvert The Presidentexposes the biggest political scandal of our lifetime. A must-read!"